The murder of Frank "Don Cheech" Scalise remains, like many other Mafia murders, unsolved. But even more than most, the hit is tangled in a web of mob intrigue that almost certainly can never be unraveled. 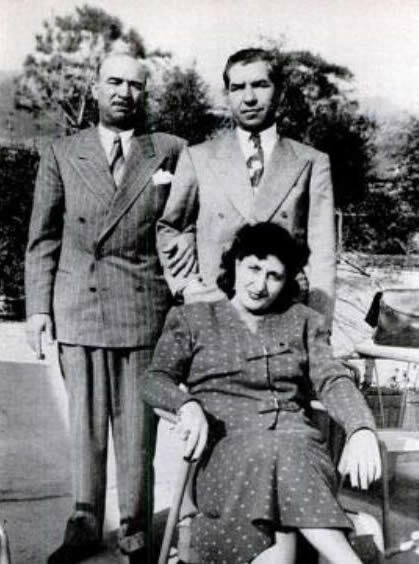 A close ally of Lucky Luciano since Prohibition days, Scalise was part of the Mangano family and aided Albert Anastasia in wiping out the Mangano brothers so that Anastasia could take over the crime family. In fact, Scalise and Anastasia had long been partners in murder. Anastasia and his underboss Don Cheech were inseparable through the years and were constantly involved in all sorts of deals, shady even by Mafia standards. It was certain that in 1954 Scalise and Anastasia started selling memberships in the Mafia to eager applicants for $40,000 to $50,000 when the "books" or membership rosters, were opened for the first time since the early 1930s. It was said that Scalise collected about 200 of these kingsized kickbacks. Now the guessing game begins. One theory has it that when Anastasia heard the accusations against his underboss, he angrily ordered his murder, and Scalise was cut down by four bullets in the neck and head as he was buying fruit at a favorite Bronx fruit stand (this was the model for the attempted assassination of Don Corleone in the The Godfather). Another theory was that the murder was ordered by Anastasia not out of anger, but to prevent further speculation that he, Albert A., was getting a cut of the membership kickbacks. Another theory holds Scalise innocent of the charge, claiming that Vito Genovese, as part of a campaign to discredit Anastasia with whom he was involved in a struggle for control of Mafia affairs in New York, had cooked up the plot. Anastasia, the theory goes, simply outmaneuvered Genovese by having Scalise killed, a bit of double-dealing not beyond the Anastasia character. Still another theory maintains that Genovese had Scalise killed and then spread the word that Albert had done it. Since one of the gunmen was almost certainly Jimmy "Jerome" Squillante, a very close associate of Genovese, the Genovese theory looks best. However, none of the Scalise murder theories is conclusive. Scalise was also known to be involved in drug smuggling, and it was said that he had welshed on his responsibility to reimburse his underworld partners when the government grabbed a heroin shipment. For that reason, Scalise was marked for death. In any event, Genovese profited most from Scalise's demise, it being a fairly common tactic in the Mafia to knock off an enemy's most powerful supporter before going after the main target. It had been done in the case of Joe the Boss Masseria and in 1957 was shortly to be the case with Anastasia. Confusion or no, the death of Frank Scalise was not without its touch of "honor." His brother Joe quickly vowed vengeance, but then noticed that Anastasia was staying rather quiet about matters. Joe Scalise dropped his vow and disappeared for a number of weeks, reappearing only when the word went out that all was forgiven, that it was understood he was merely expressing normal filial devotion.